> ST-111.1: model for SZM-LED1, SZM-LED2 and SZO. 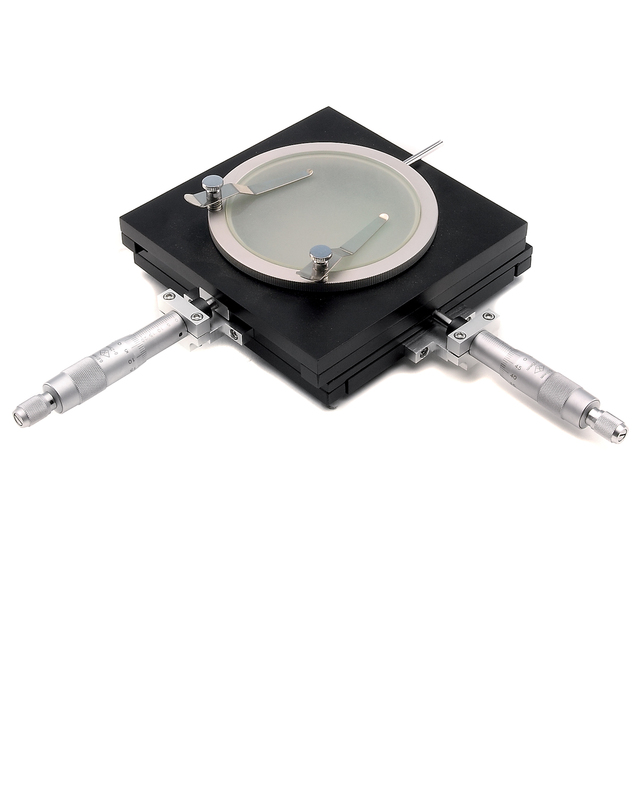 This moving stage is a micrometer positioning stage with XY graduation of 0.01mm. 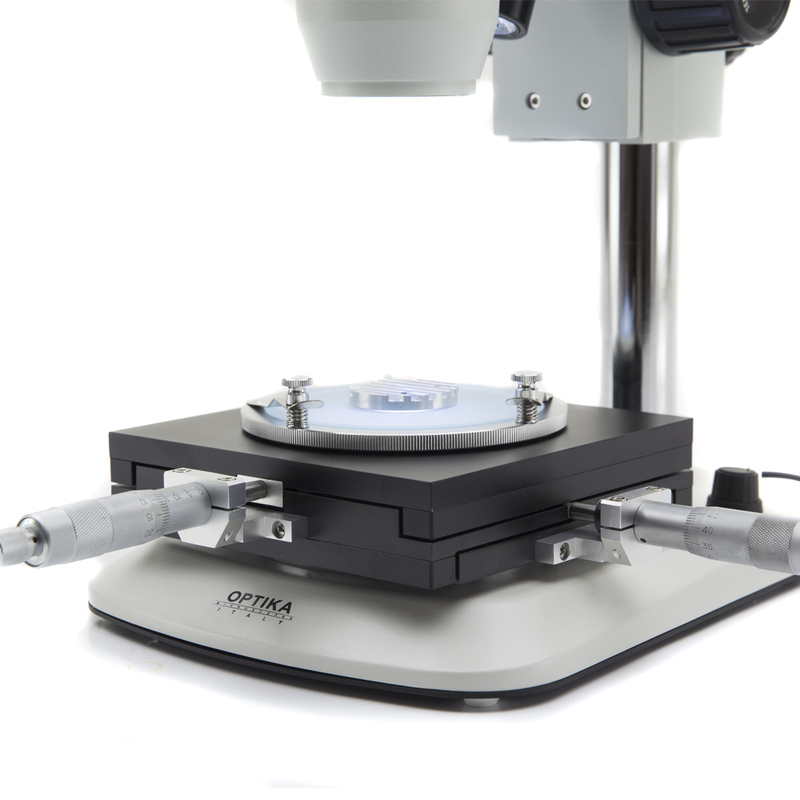 Whenever you need to precisely move the sample or make measurements, this is the ideal solution. 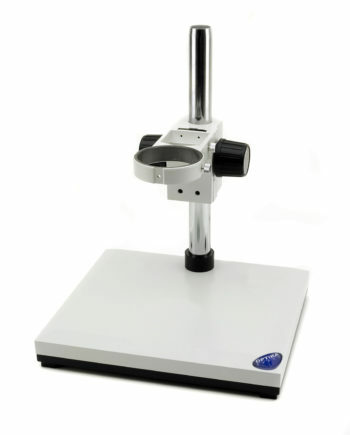 It works with both incident and transmitted illumination, and it is equipped with rotating stage and sample clips. 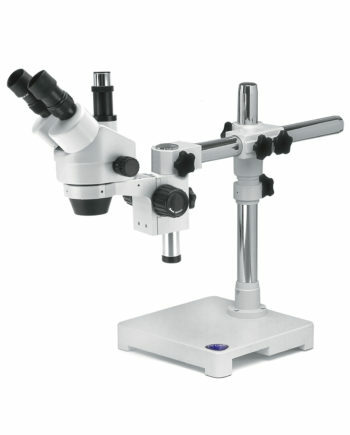 It is suggested to use it in conjunction with the optional micrometer eyepieces.